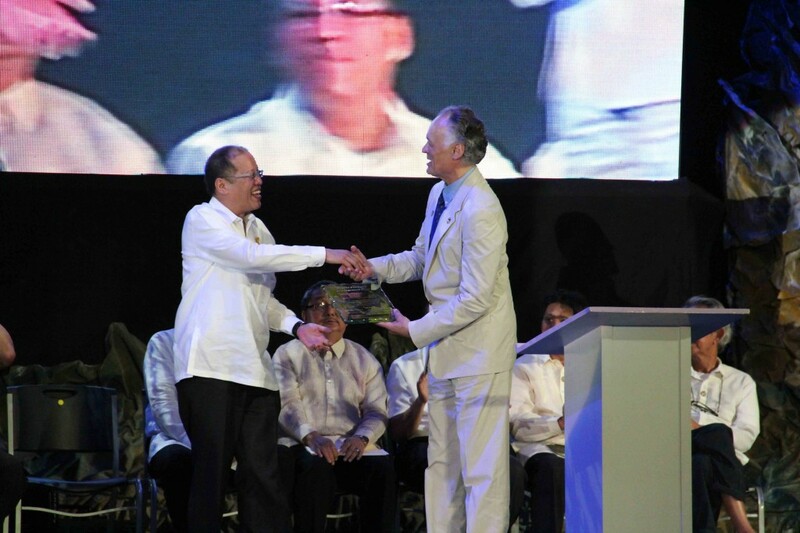 President Benigno S. Aquino III of the Philippines (left) shares a moment with Bernard Weber, Founder-President of New7Wonders (right), during the Official Inauguration celebrations for the Puerto Princesa Underground River in Manila. 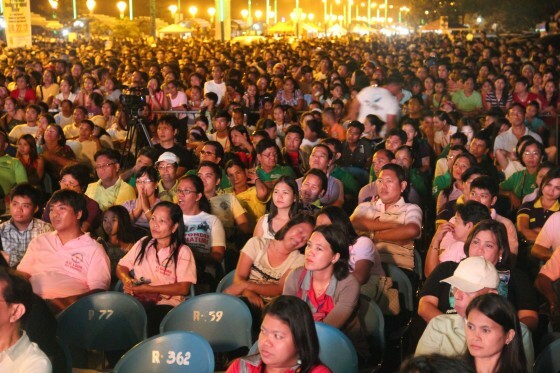 The Official Inauguration events in the Philippines were colourful, joyful and memorable. New7Wonders is grateful to all those who made them such a success. 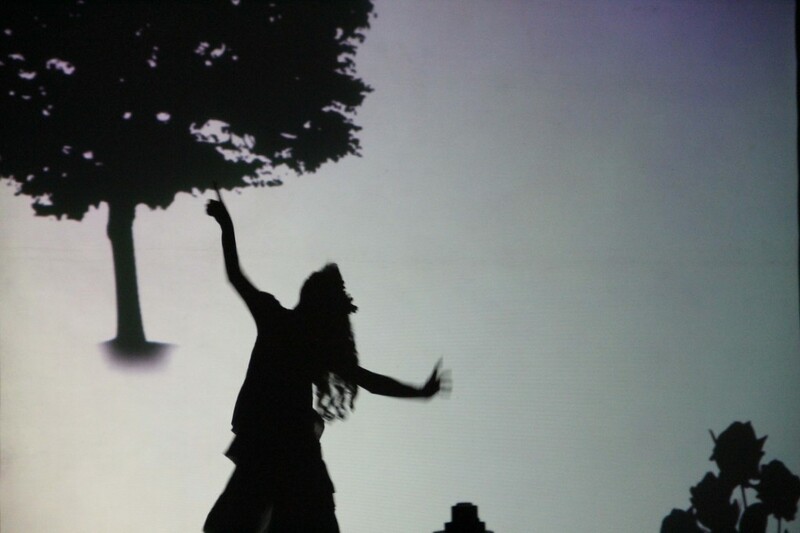 The inauguration event in Manila was preceded by a traditional Philippine dance ceremony during which the performers made evocative use of light and shadow. The Manila event also paid tribute to contemporary Philippine culture with a show of song and dance featuring some of the country’s top stars. 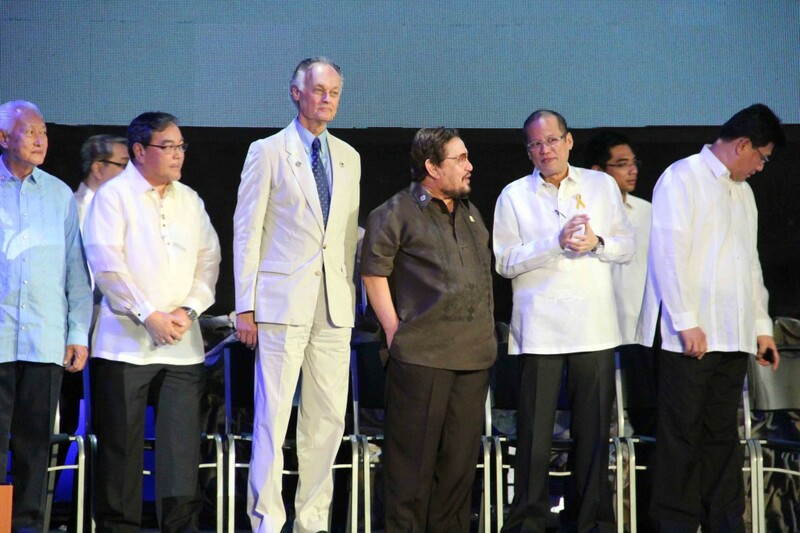 “The result of the New7Wonders of Nature vote reveal the active participation of the citizens in their countries and supporters all around the world,” said Bernard Weber, New7Wonders Founder-President, pictured centre-stage in Manila. 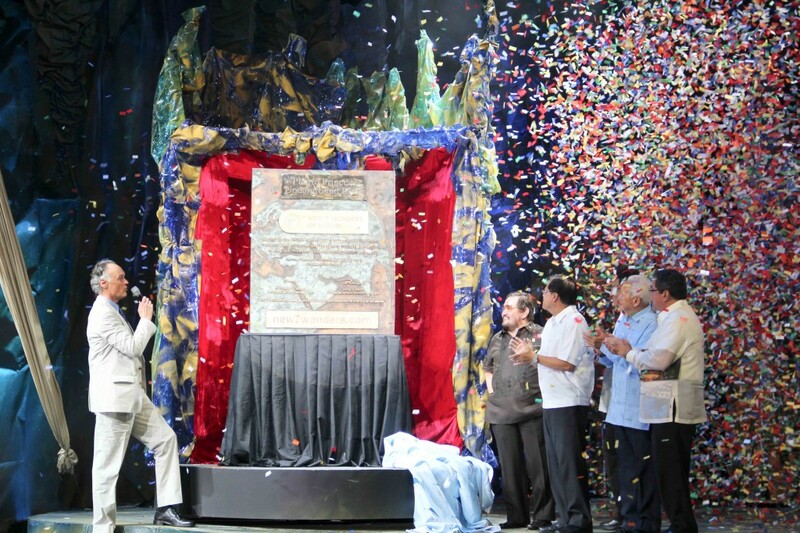 The unveiling of the plaque listing the Puerto Princesa Underground River as one of the New7Wonders of Nature was the highlight of the Manila event. 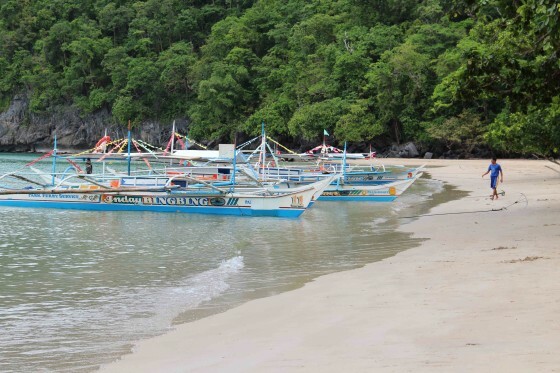 Sustainable development in the form of locally-operated boats beached at the entrance to the Puerto Princesa Underground River (PPUR) in Palawan Province. Palawan is home to the Kagayanen, Tagbanwa, Palawano, Taaw’t Bato, Molbog and the Batak tribes. 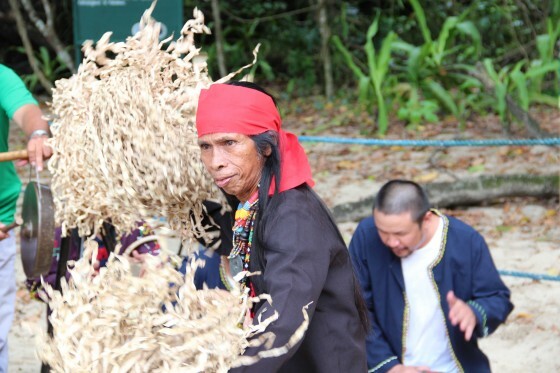 The Official Inauguration of the Puerto Princesa Underground River (PPUR) involved the participation of the local indigenous people. 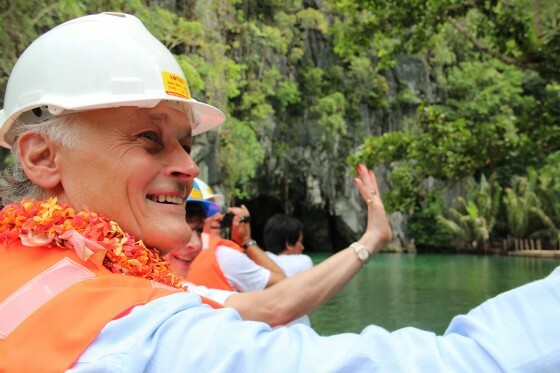 Bernard Weber, Founder-President of New7Wonders, joins a group of guests preparing to enter the Puerto Princesa Underground River (PPUR). The mouth of the 8.2 km. 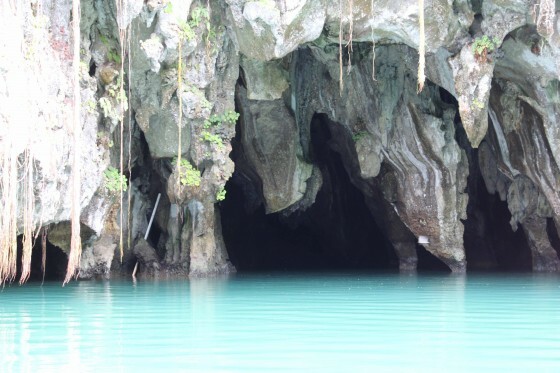 navigable Puerto Princesa Underground River (PPUR) offers a dramatic contrast of colours and forms. 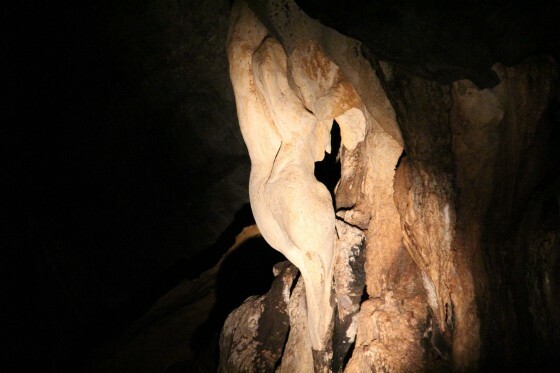 The subterranean landscape includes major formations of stalactites and stalagmites, and several large chambers filled with the most extraordinary formations. 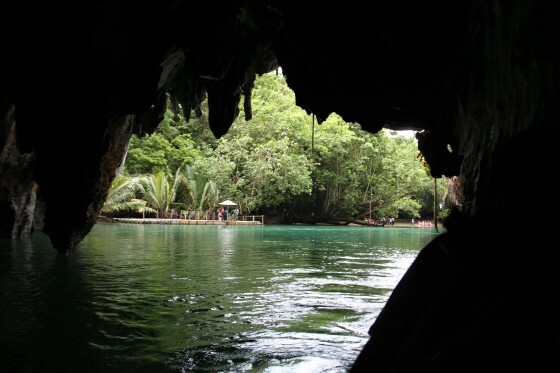 Light at the end of the tunnel signals that Puerto Princesa Underground River (PPUR) is entering the sea in the form of a lagoon surrounded by ancient trees. 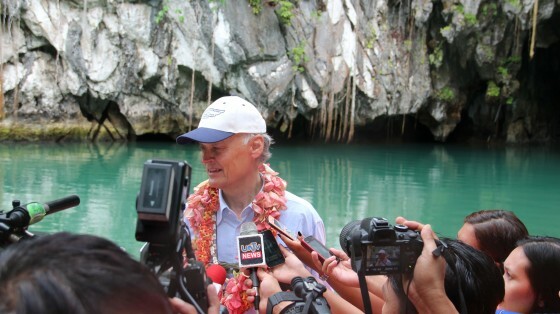 “From the inception of New7Wonders, my goal was to bring inspiration and create motivation and participation on themes that everyone on our planet can understand, themes that have real and lasting value,” Bernard Weber tells the press in Palawan. Of the people, for the people, by the people… In Puerto Princesa City, people gather to celebrate the Official Inauguration of their underground river as one of the New7Wonders of Nature. 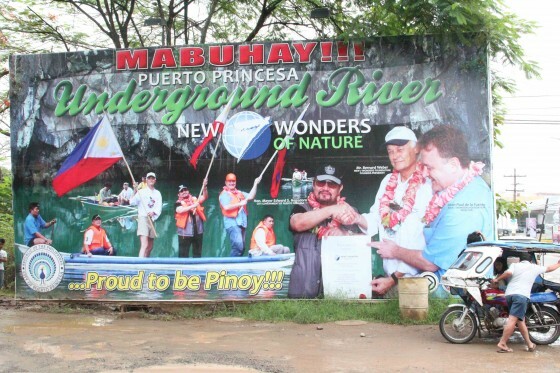 Celebratory poster at a junction in Puerto Princesa featuring Bernard Weber, Founder-President of New7Wonders, Mayor Edward Hagedorn of Puerto Princesa City and Jean-Paul de la Fuente, New7Wonders Director.